Welcome to the start of Year 3. It is inspiring to begin a new year, reflect on the past year’s progress and plan for the future directions and milestones of the VT EPSCoR BREE research. I am energized to start the next year of BREE with all of you who are so dedicated and insightful with the complexities of this project. The Office of the Vice President for Research at UVM and the Vermont Technology Council are pleased to announce that Dr. Arne Bomblies has accepted an appointment as Vermont State EPSCoR Director. Dr. Bomblies has an outstanding career of research, teaching and leadership. 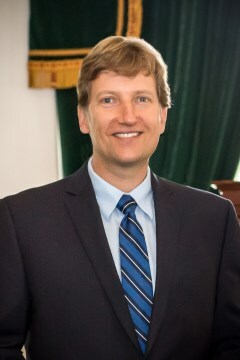 He joined the University of Vermont in 2009 and is currently Associate Professor of Civil and Environmental Engineering in the School of Engineering. Dr. Bomblies holds a Ph.D. in Environmental Engineering from the Massachusetts Institute of Technology (MIT) in Cambridge MA and a BS in Chemical Engineering from Cornell University. 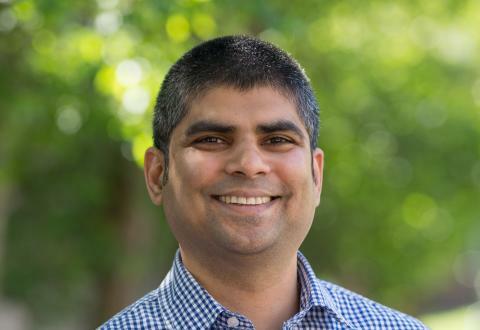 He holds a Master of Environmental Engineering from the University of Colorado in Boulder. Saving Our Waters, a three-part documentary produced by VT PBS with major funding by VT EPSCoR, was recognized with a Boston/Regional Emmy Award in the Environmental category, on June 2, 2018. The series focuses on the health and resiliency of Lake Champlain Basin, especially with the increase of extreme weather events. VT EPSCoR Science Leaders (pictured above) from the University of Vermont who are from multiple disciplines ranging from engineering, social, natural and computational sciences, were instrumental in the content development and provided guidance on the science and complex issues surrounding the Lake Champlain Basin. Together they work with broader teams of researchers from across the state on the National Science Foundation (NSF) VT EPSCoR RII-Track-1 Award, Lake Champlain Basin Resilience to Extreme Events (BREE). Dr. Mandar Dewoolkar, VT EPSCoR Resilience to Extreme Events in the Lake Champlain Basin (BREE) faculty researcher, chair and professor of the Department of Civil and Environmental Engineering at UVM, was awarded $1.25M from the U.S. Department of Transportation to create a highly competitive University Transportation Center (UTC) called the Transportation Infrastructure Durability Center (TIDC). The CWDD welcomed the 2018-2019 Basin Resilience to Extreme Events (BREE) undergraduate interns at St. Michael’s College on Tuesday May 29th, 2018 to begin their internship. 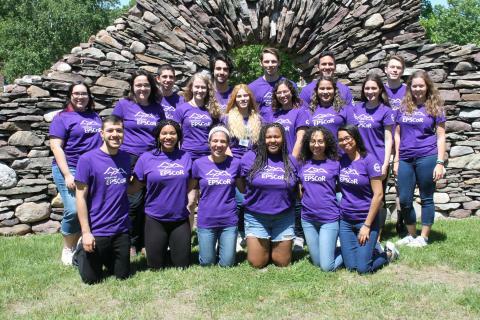 The second cohort of the Basin Resilience to Extreme Events (BREE) high school research program had its training week at St. Michael’s College from June 18-22, 2018. The participants will continue to work on their research until the spring of 2019. They will sample streams near their schools and analyze their data to present at the 2019 Spring Research Symposium hosted by the CWDD. The Policy and Technical Advisory Committee (PTAC) Spring Meeting was held on May 24, 2018. The biannual meeting offered a space for policy makers, decision makers, researchers, federal agency representatives, town and local officials from around the state and region to convene and take an active role in interactive sessions surrounding the Lake Champlain Basin. 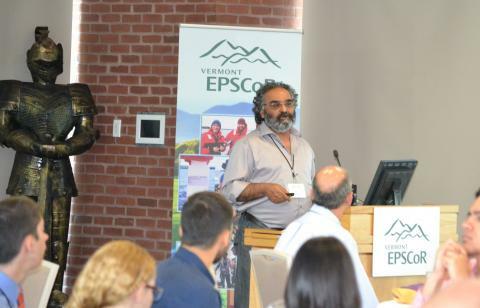 VT EPSCoR held a successful kick off to Year 3 with an exciting All Hands Meeting on June 12, 2018 at Saint Michael’s College in Colchester, VT. Over 80 participants attended including the new 2018 Undergraduate interns, graduate students, post-doctoral associates, and members from the VT EPSCoR External Advisory Committee. 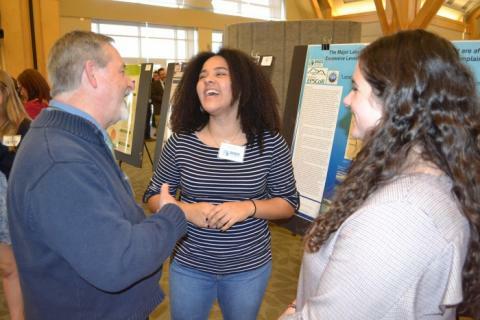 The Vermont EPSCoR CWDD team held its 10th Annual Student Research Symposium on March 20, 2018 at the University of Vermont’s Davis Center. The symposium provided an opportunity for high school teams and undergraduate students to present BREE-funded research to a wide audience. 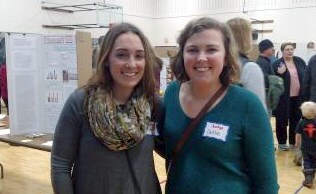 Three Vermont EPSCoR graduate research assistants (GRAs) were invited judges for a local science and engineering fair held at Milton Middle School in Milton, VT on February 8, 2018. Wilton Burns, Caitlin Crossett, and Brittany Lancellotti acted as judges for science and engineering projects at the event.